ClioMed Bar Code and Charging Base Holder: BCH-15 | Altus, Inc.
Upgrade your ClioMed. 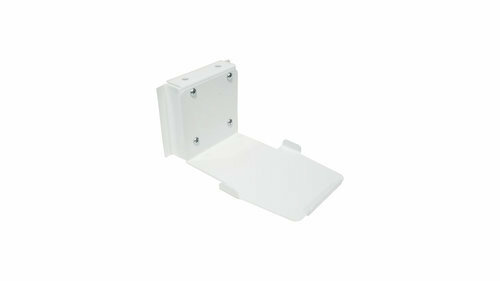 This holder secures your bar code and charging base beneath the workstation’s rear worksurface. This accessory is attractive and open, keeping your medical IT cart compact. The white finish blends in with the rest of the cart for a complete look. Space saver. Sturdy and lightweight. No bulky equipment interfering with the worksurface or workstation surroundings! Located at one’s finger tips for easy access and to keep your clinicians on the move. Reduce errors. Perfect for medication or treatment carts. When caregivers are making rounds, the bar code and charging base holder partnered with one of Altus’ medication delivery cart allows for bedside a bar code scanner within reach. Or close to the action yet out of the way power supply.